Patchouli essential oil is a type of essential oil commonly used in aromatherapy. Sourced from the leaves of the Pogostemon cablin plant (a perennial herb native to tropical regions of Asia), patchouli essential oil is said to offer a variety of health benefits. Patchouli essential oil is also sometimes used as an ingredient in incense and perfume, as well as in skin-care products. In aromatherapy, inhaling the aroma of patchouli essential oil (or absorbing patchouli essential oil through the skin) is thought to transmit messages to a brain region involved in controlling emotions. Known as the limbic system, this brain region also influences the nervous system. Aromatherapy proponents suggest that essential oils may affect a number of biological factors, including heart rate, stress levels, blood pressure, breathing, and immune function. In addition, patchouli essential oil is said to act as an insect repellent, promote healing from burns and wounds, reduce inflammation, and alleviate stress. When used in skin-care products, patchouli essential oil is thought to treat oily skin and reverse signs of aging. Although research on the aromatherapeutic use of patchouli essential oil is very limited, there's some evidence that it may offer certain health benefits. For example, a preliminary study published in the Journal of Natural Medicines in 2011 found that patchouli essential oil may help promote sleep. In tests on mice, the study's authors determined that inhaling the aroma of patchouli essential oil may have sedative effects that could be useful in the treatment of sleep problems. 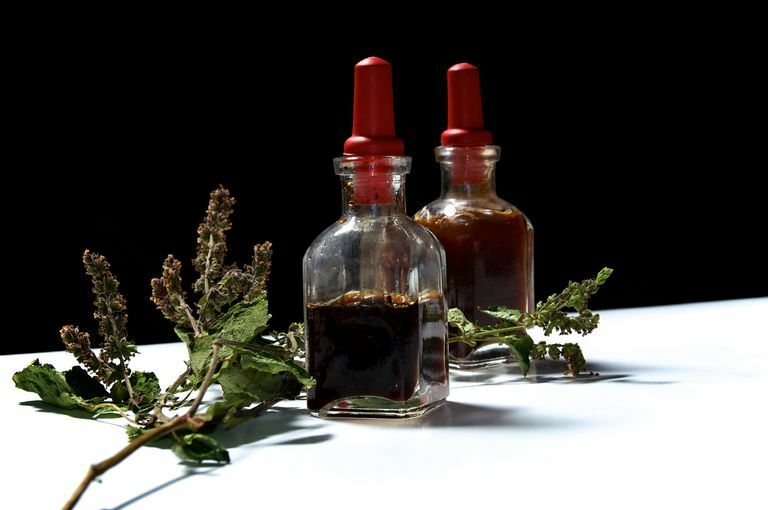 Additionally, a report published in Phytotherapy Research in 2005 found that patchouli essential oil may help protect against mosquito bites by acting as an insect repellent. When combined with a carrier oil (such as jojoba, sweet almond, or avocado), patchouli essential oil can be applied directly to the skin or added to baths. Patchouli essential oil also can be inhaled after sprinkling a few drops of the oil onto a cloth or tissue, or by using an aromatherapy diffuser or vaporizer. Patchouli essential oil should not be taken internally without the supervision of a health professional. Internal use of patchouli essential oil may have toxic effects. Additionally, some individuals may experience irritation when applying patchouli essential oil to the skin. It should never be applied full strength to the skin. Pregnant women and children should consult their primary health care providers prior to using essential oils. A number of essential oils may possess stress-reducing effects similar to the purported benefits of patchouli essential oil. For example, lavender essential oil, bergamot essential oil, and rose essential oil have all been found to promote relaxation in scientific studies. If you're seeking an aromatherapy remedy for sleep problems, lavender essential oil, ylang ylang essential oil, and chamomile essential oil may be of some benefit. Widely available for purchase online, patchouli essential oil is sold in many natural-foods stores and in stores specializing in self-care products. Due to the limited research, it's too soon to recommend patchouli essential oil as a treatment for any condition. If you're considering using it, talk to your doctor first. Keep in mind that alternative medicine should not be used as a substitute for standard care. Self-treating a condition and avoiding or delaying standard care may have serious consequences. Trongtokit Y, Rongsriyam Y, Komalamisra N, Apiwathnasorn C. "Comparative repellency of 38 essential oils against mosquito bites." Phytother Res. 2005 Apr;19(4):303-9. Ito K, Ito M. "Sedative effects of vapor inhalation of the essential oil of Microtoena patchoulii and its related compounds." J Nat Med. 2011 Apr;65(2):336-43.